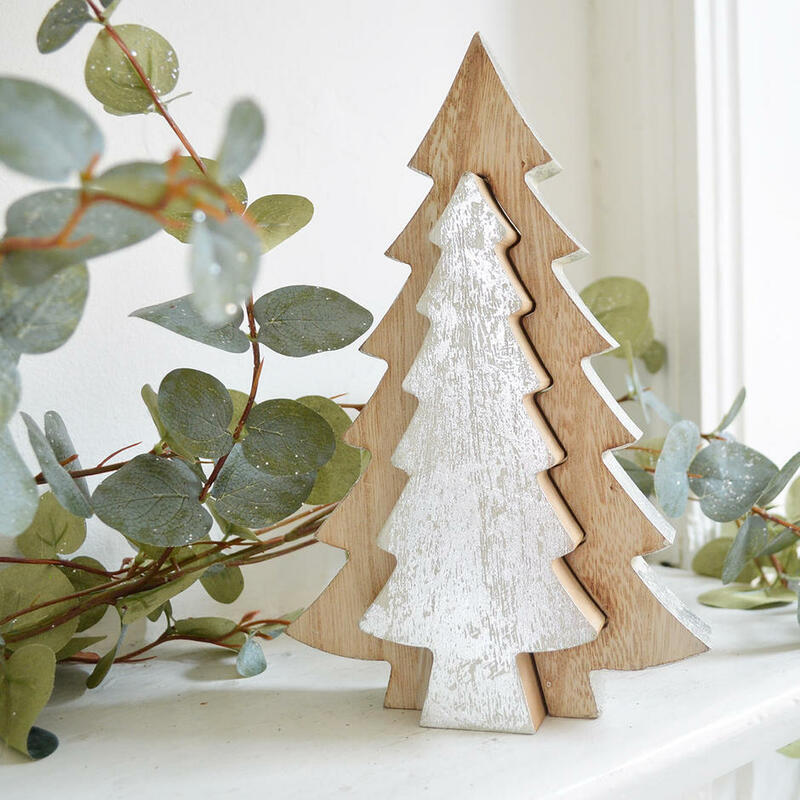 Simple, naive style Christmas Tree decoration. 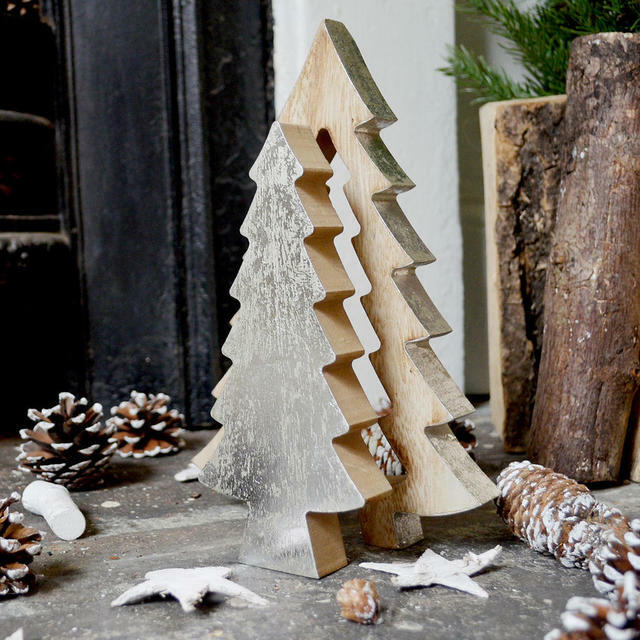 Beautiful but simple Nordic Christmas Tree in a very simple naive style. 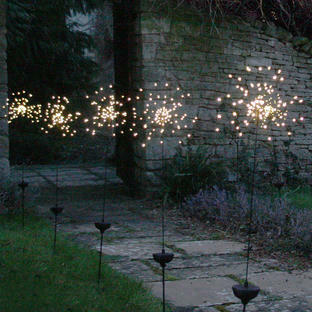 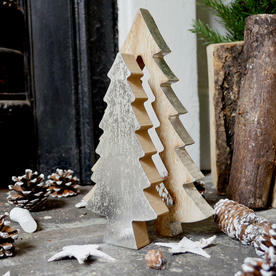 Pull the small silver tree out from the larger tree to create a 3D effect. 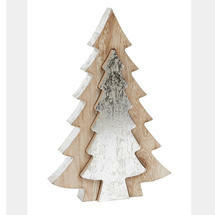 Natural wood with white wash and silver detailing. Made from wood with silver detail.